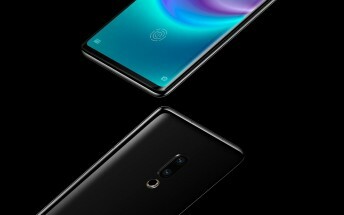 Meizu Zero was announced as the first phone without physical ports, holes, or buttons. The “true holeless smartphone” turned to Indiegogo for funding the idea, but didn’t manage to reach the target of $100,000. According to Chinese sources, 29 people supported the idea, and 24 of them actually pre-ordered the smartphone. This wasn’t nearly enough, and the campaign closed at 45%. According to Jack Wong, founder and chairman at Meizu, the crowdfunding was only for pre-research purposes and there weren’t any plans whatsoever to push the device to mass production. The whole Indiegogo campaign was just a marketing stunt, Wong clarified on Weibo. The Meizu Zero omits the idea of physical buttons and was introduced with pressure-sensitive areas on the side. It would charge only wirelessly and use eSIM. There was one exclusive Pioneering Unit of the Meizu Zero that was promised to ship in January. Given the failure of the campaign, someone should expect his $2,999 back instead of a smartphone in the mailbox.